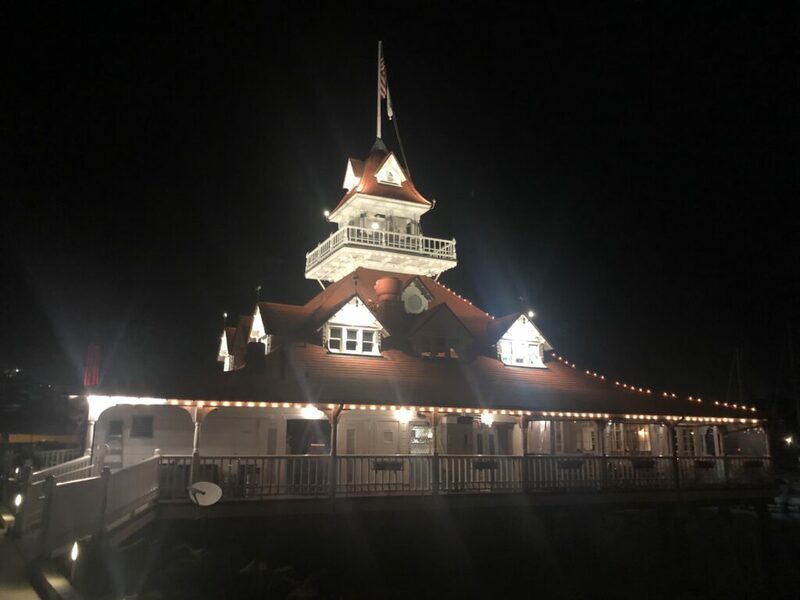 What better way to celebrate Valentine’s Day than to plan a special dinner tasting delicacies from two of the most romantic destinations known for their culinary treats, while enjoying the romantic atmosphere of Coronado’s Bluewater Boathouse. 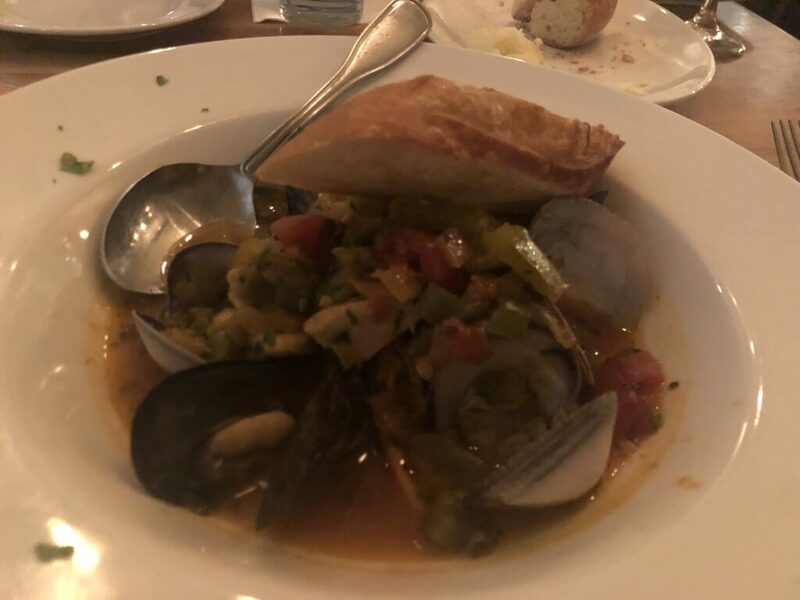 This month’s Second Tuesday Tasting at Bluewater Boathouse did not disappoint, with a showdown between Italy and France comparing and contrasting a delicate and light French Bouillabaisse with Italy’s more robust and flavorful Cioppino. 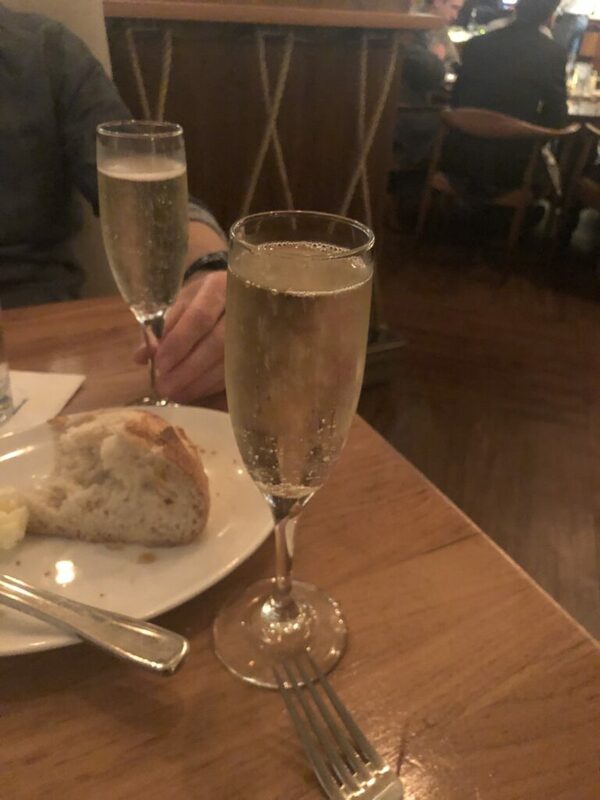 Along with smartly chosen wine pairings, your dining experience will be complete as you choose from a French Brut, a French Pinot Blanc or an Italian Chianti. My husband and I attended the Tuesday Tasting last night and thoroughly enjoyed our experience. 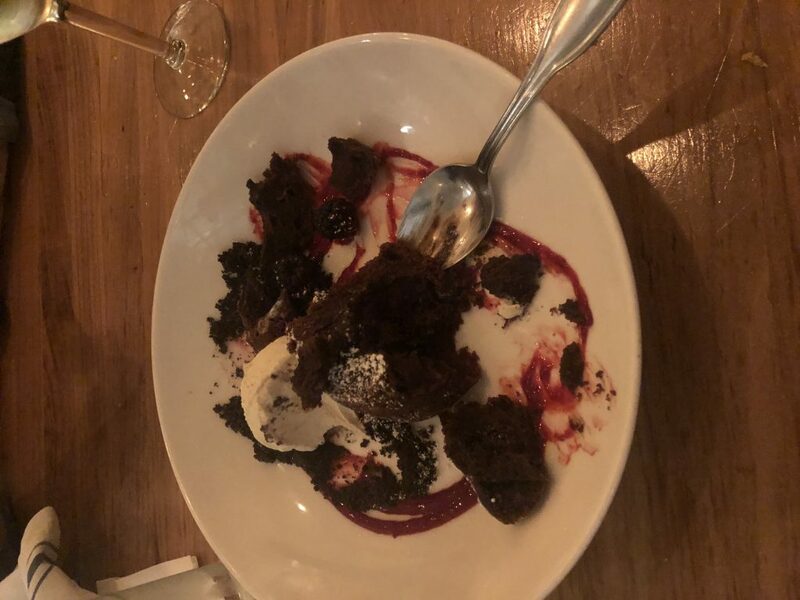 From the freshly baked sourdough bread that came out as we sat down to the Chocolate Lava Cake that finished the meal off with a bang, we were extremely pleased. 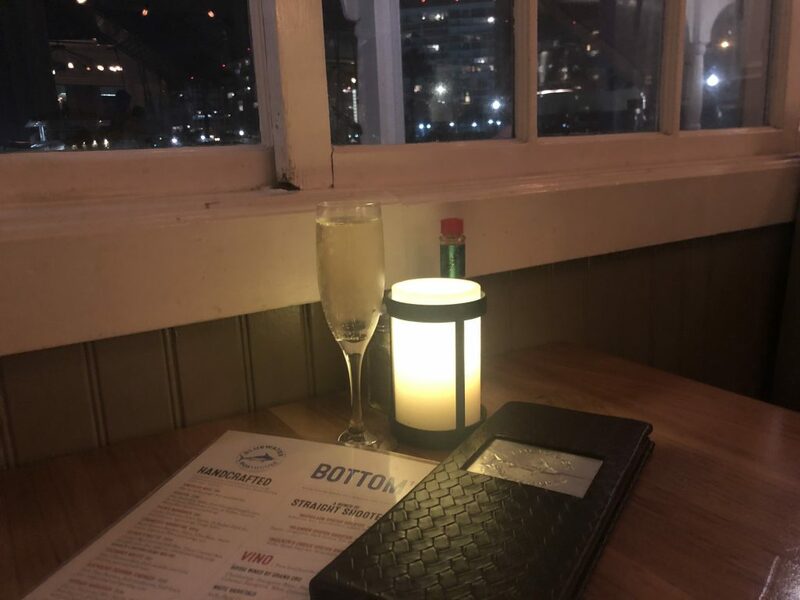 With the cold and damp weather we’ve had in Coronado lately, it was nice to be seated in a cozy booth inside while still be able to enjoy the views of the marina. Rowell, our server, was attentive and gave us plenty of time to enjoy the meal which came in three courses. We started off with the Domaine Ste. Michelle Brut, a light and crisp sparkling wine. It was a nice accompaniment to the Sourdough bread and the Bouillabaisse. We also tried a glass of the Trimbach Pinot Blanc, which was also a great choice to pair with the French dish. The Bouillabaisse was beautiful, very light with a saffron broth and rouille that was delicious. It was not too filling as another full dish was forthcoming with the Cioppini. There were mussels, clams, shrimp and Cod all in the flavorful broth. Next came the Cioppino, a much stronger dish with flavors of garlic, onion, tomato and peppers. The fish was the fresh catch, swordfish, and the clams and mussels and a crab leg were all covered in the stew-like broth. The dish also came with a piece of garlic Italian toast to soak up the broth. I paired this dish with the Chianti and the fruity red wine complemented the delicious flavors of the dish. 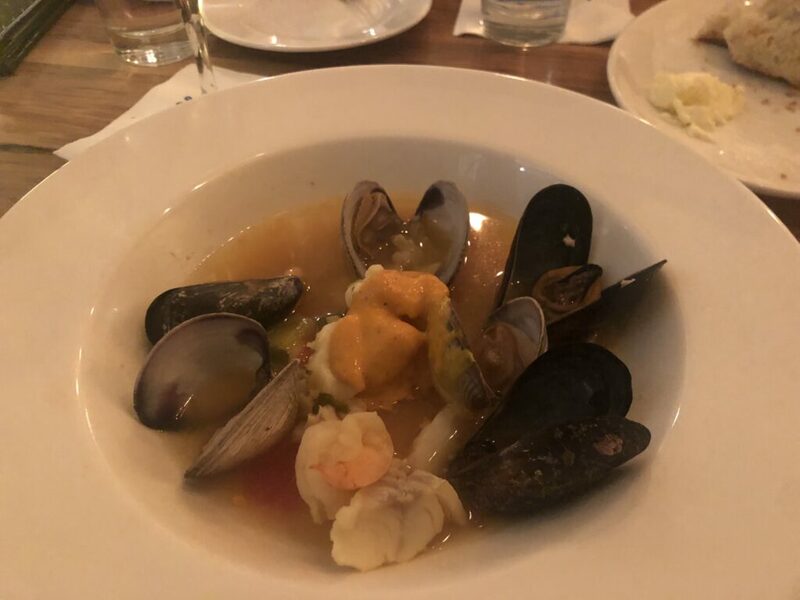 It was smart for the Bouillabaisse to be served first as the delicate flavors needed a clean palate and the robust flavors of the Cioppini would have spoiled that. Having the Cioppino second was perfect and filling. I was pleasantly full after the first two courses but was unable to stop myself from enjoying dessert. With a choice between a refreshing slice of Key Lime Pie and a decadent Chocolate Lava Cake, there really was no choice for me, I can’t turn down chocolate. I only wanted a small bite and it was a dessert to share so I felt good about that, but when it came out it was beautiful and I couldn’t resist…we cleaned the plate. 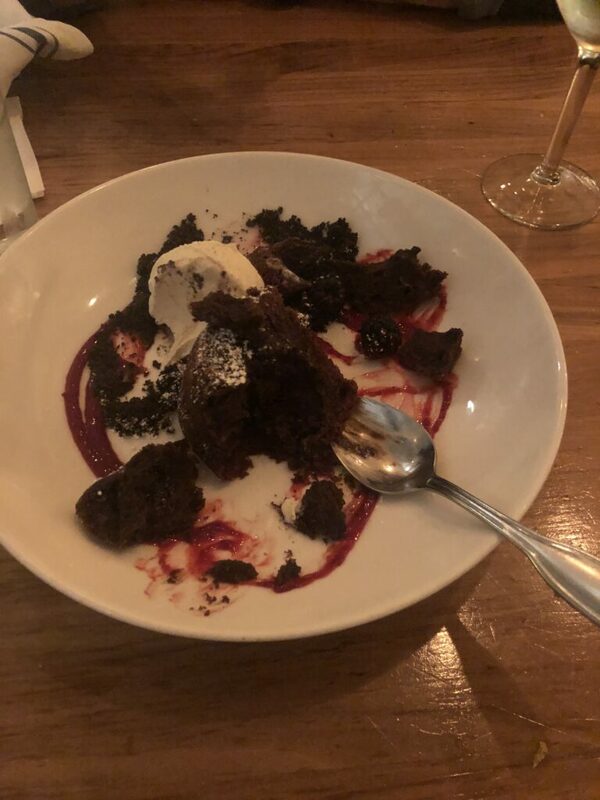 I think either dessert would be a winner, but the fresh raspberry sauce and blackberries that came with the vanilla ice cream and rich chocolate lava cake were incredible and I would definitely recommend that. Our complements to Chef Albert. The Chocolate Lava Cake was so pretty we immediately started eating it and forgot to take the picture before we dove in. The “From Europe with Love” Tasting with Wine Pairing was $40 on Tues., Feb. 12 only; but if you missed it, you can still enjoy the same food menu without the champagne and wine pairing for $40 through the rest of February. Keep an eye out for the monthly tasting events, hosted every second Tuesday, featuring seasonal seafood specialty items paired with hand-selected wines or specialty draught beers. You can find Bluewater special events on the Coronado Times calendar. 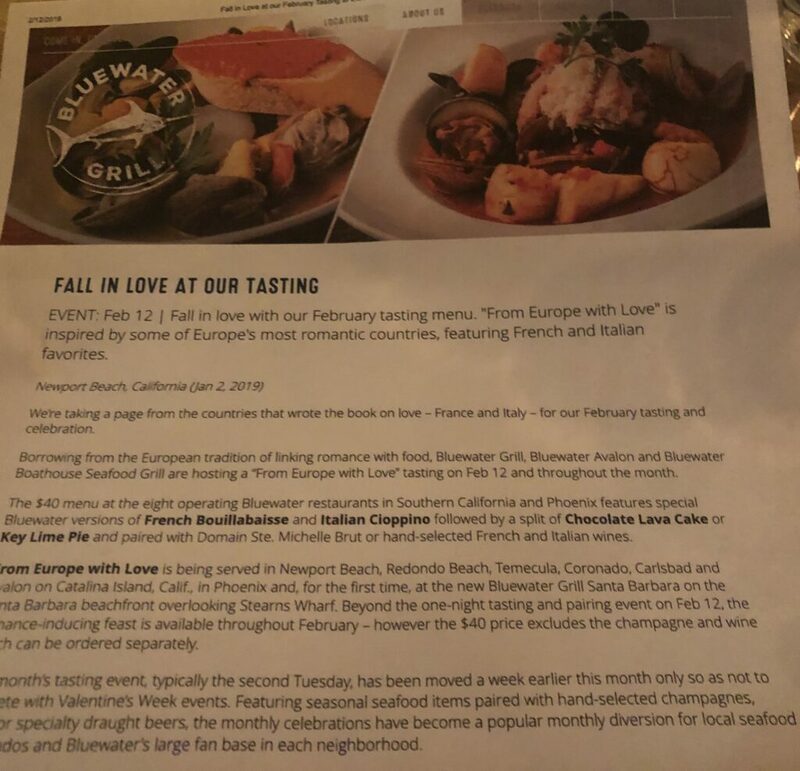 For menus, locations and operating hours for the seven unique Bluewater restaurants in Southern California and Arizona, go to www.bluewatergrill.com. You can follow each restaurant on Facebook, or the Bluewater family on Twitter and Instagram.